Have you lost track of your spendings again? Ever wondered where you spent these 29,19$ that just got withdrawn from your bank account? Do you want to buy a new Laptop but are not sure how much you can spend? Once you see it appearing on your bank account, tap the Entry and click “confirm”, now the Entry is closed and you don’t have to worry about it. 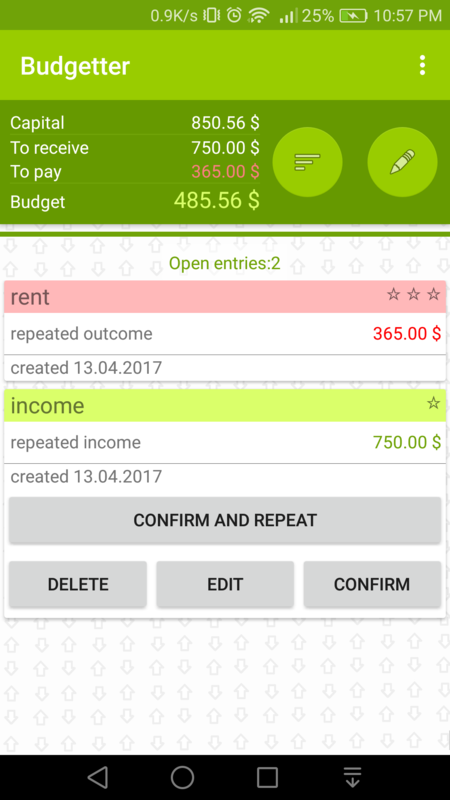 Do you want to add spendings like rent or repeating income? 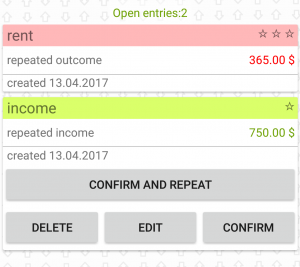 Just hit that Checkbox on top and you will be able to repeat the income/outcome, that easy! Did you enter something wrong? No problem! You can always edit open entries too! *for free! No hidden costs, but don’t forget to give feedback. Ideas let this all happen, so can yours. Feel free to look through this Website, My Projects are freely accessible and you are free to post Comments below anything where it's enabled.